Project Concern Cudahy / St. Francis | Project Concern is a non-profit organization serving low income residents of Cudahy and St. Francis with emergency food, clothing and household items. Project Concern is a non-profit organization serving low income residents of Cudahy and St. Francis with emergency food, clothing, household items and information/referrals. Help is available because of donations of goods, volunteer services and financial contributions from individuals, churches, businesses, service organizations and the community. Project Concern is sponsored by six congregations: Changing Lives Assembly of God, Cudahy United Methodist, Nativity of the Lord Catholic, Sacred Heart of Jesus Catholic, St. John Ev. Lutheran and St. Mark’s Ev. Lutheran. Help Project Concern, the emergency food pantry, clothing bank and resource center serving Cudahy and St. Francis. Lower Level of Nativity of the Lord Parish. 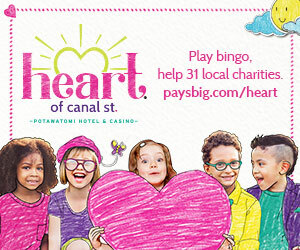 Promote STAMP OUT HUNGER among your family, friends and co-workers via social media. Collect and bag non-perishable food items and leave them by your mailbox for your letter carrier to collect on May 11th. Come to Project Concern on May 11th and help sort and put away food. Volunteers are needed between 10am and 5pm. Work any shift, from one hour to all day. Thank you to We Energies for their gift to purchase cookbooks for our patrons. Thank you to The Catholic Community Foundation for supporting our efforts to help our neighbors in need. 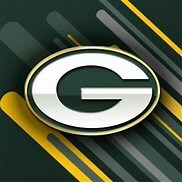 Thank you to the Green Bay Packer Foundation for a grant to purchase personal care items for our pantry patrons. 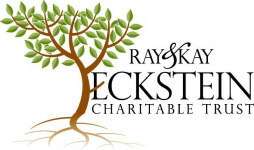 Thank you to Ray & Kay Eckstein Charitable Trust for their generous gift. 05.11.2018: Project Concern was featured in the Milwaukee Country Post. Read it here or here.